The Fraccionamiento Turístico Náutico area, the gateway to the Riviera Nayarit, has kept its environmental management and improvement programs current to obtain this international certification once again. 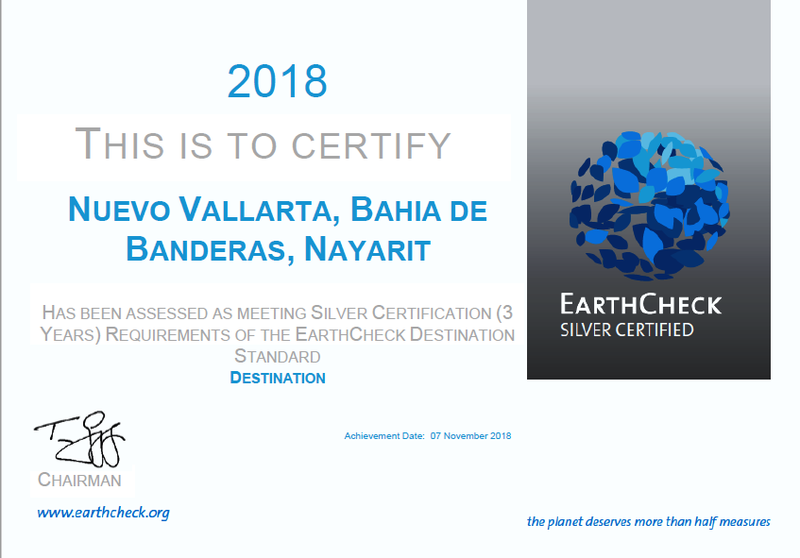 The Fraccionamiento Náutico Turístico area in Nuevo Vallarta recently received the Silver EarthCheck certification for the third year in a row, demonstrating the commitment of the Riviera Nayarit, Bahía de Banderas, and the State Government to preserving its cultural heritage and environment. 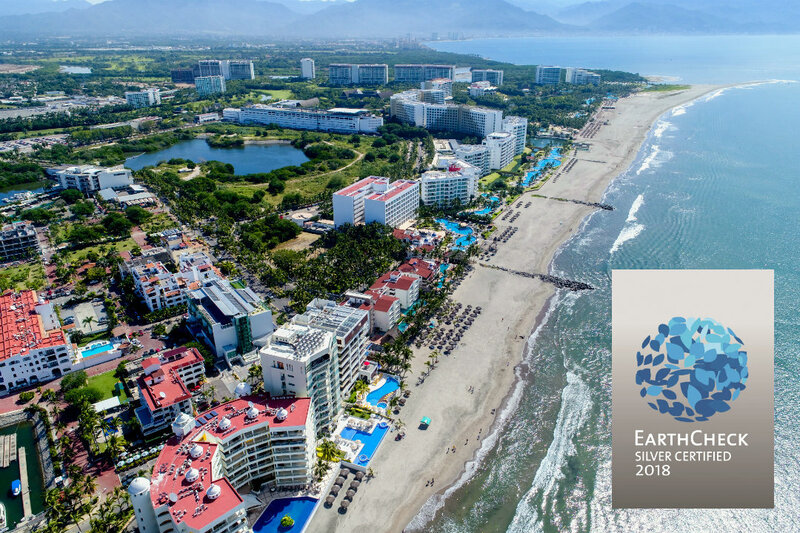 With this EarthCheck certification, Nuevo Vallarta maintains the leadership it first obtained in 2016 within a select group of sustainable tourist destinations that have been certified by this international standard. Nuevo Vallarta—administered by the Bahía de Banderas Trust (FIBBA)—welcomes the highest number of tourists in the Riviera Nayarit. It also has the most hotel rooms, making measuring sustainability a must. Marc Murphy, managing director of the Bahía de Banderas Hotel and Motel Association (AHMBB) and the Riviera Nayarit Convention and Visitors Bureau (CVB), underlined the teamwork that takes place on a daily basis in the destination to maintain this certification that includes executing an environmental management program, continuous improvement, and good environmental practices. He underscored FIBBA’s support and commitment to the project alongside the Nuevo Vallarta Neighborhood Association and the Government of the State of Nayarit, whose support was invaluable in obtaining the recertification. The central concepts of their policies include the efficient use of water, energy-efficient programs, recycling of solid waste products, noise control, biodiversity control, air quality control, protection of green areas, and hazardous waste management, all the while complying with the environmental standards as established by law. EarthCheck is a valuable management and reporting tool to improve environmental and corporate performance. It also provides a series of benefits including control of water and energy consumption, waste management, and atmospheric emissions control, as well as efficient planning of natural resources. The benefits are tangible for visitors who are ever more aware of and concerned about their environment. Transforming Nuevo Vallarta into an EarthCheck Community was the initiative of the Bahía de Banderas Hotel and Motel Association (AHMBB) and the Riviera Nayarit Hotel and Motel Association (CVB) with the support of the Government of the State of Nayarit via the Bahía de Banderas Trust (FIBBA) and the Tourism Promotion Trust (Fiprotur).